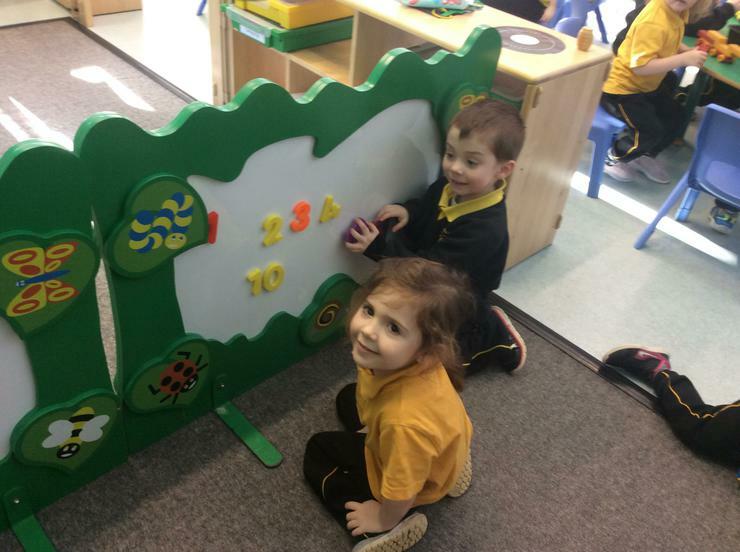 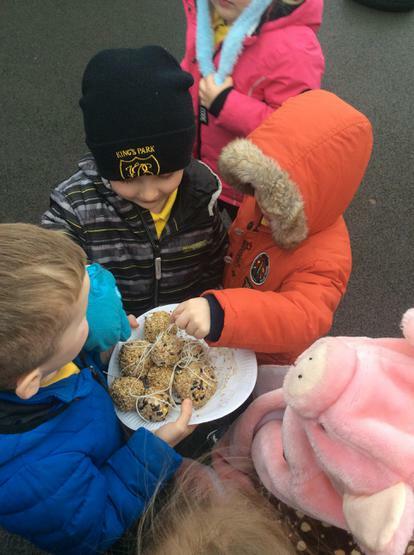 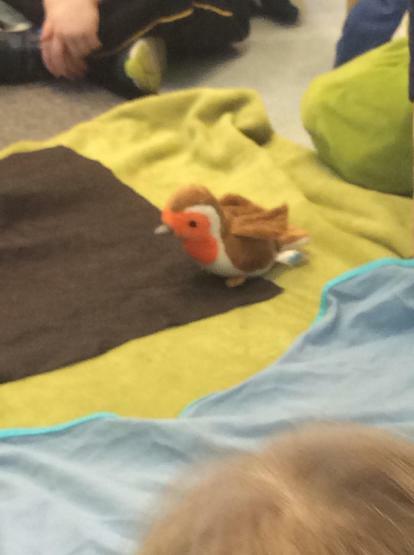 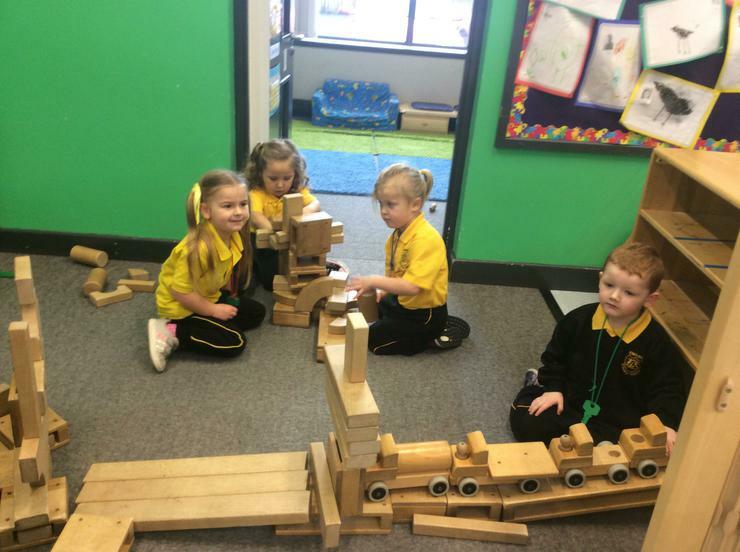 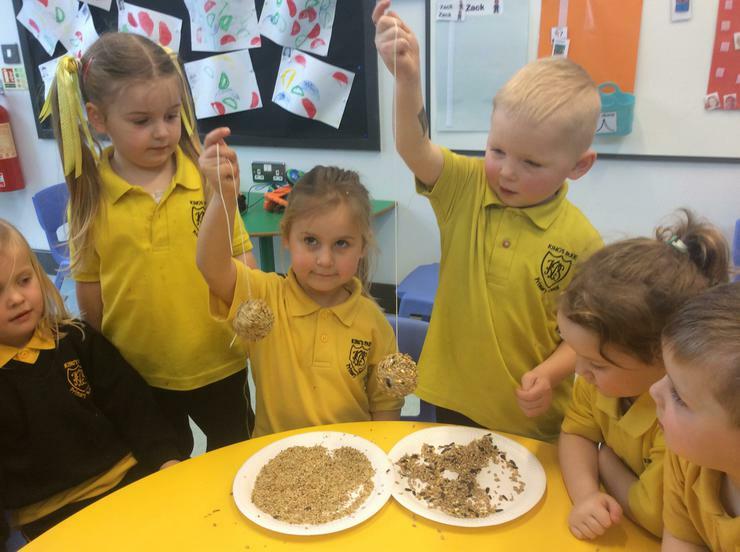 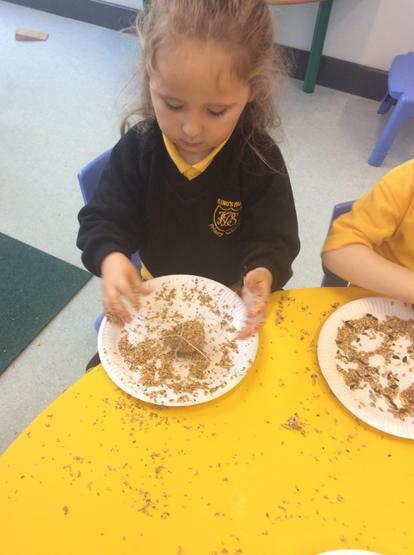 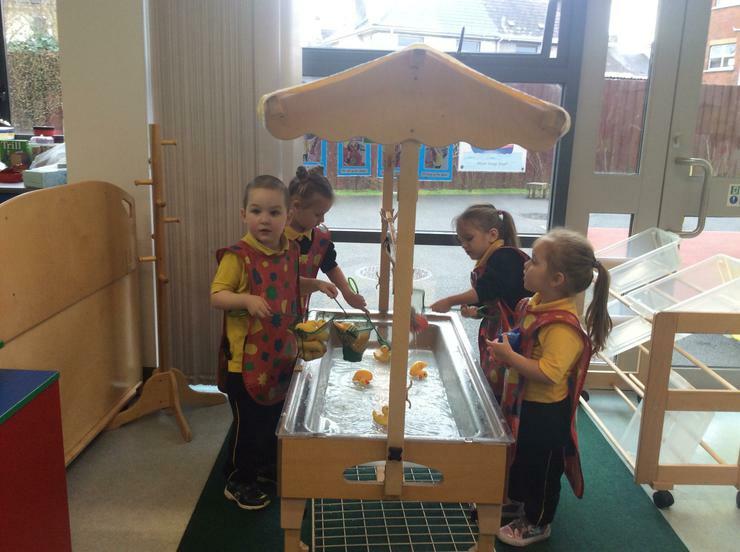 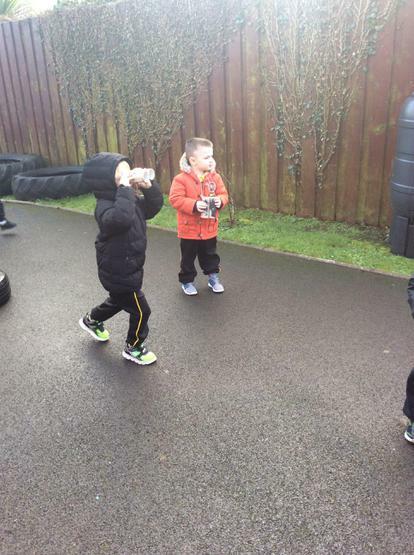 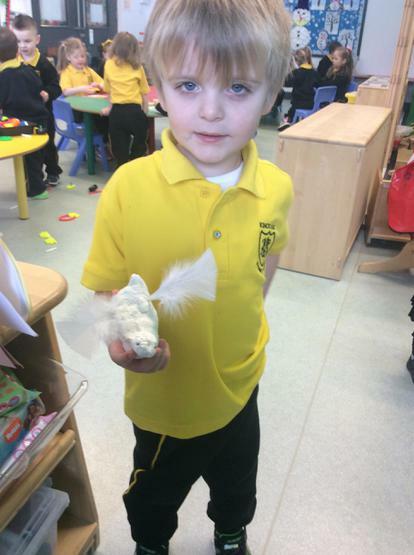 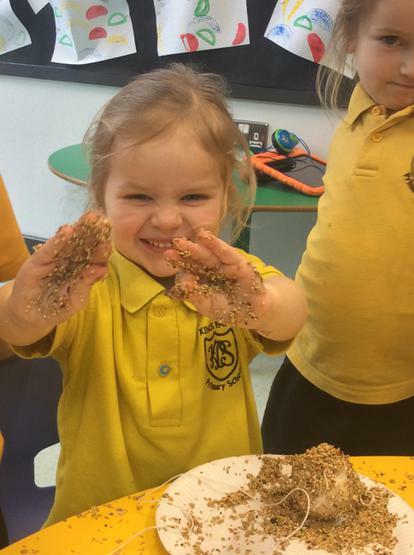 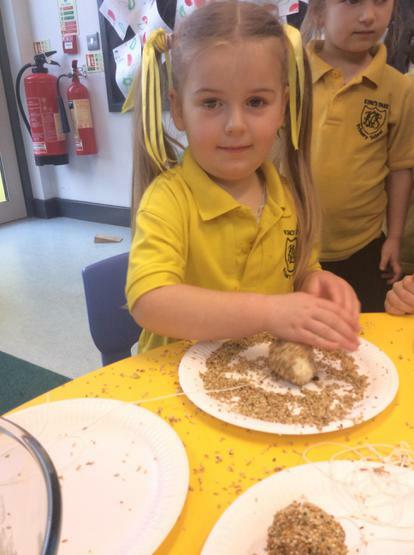 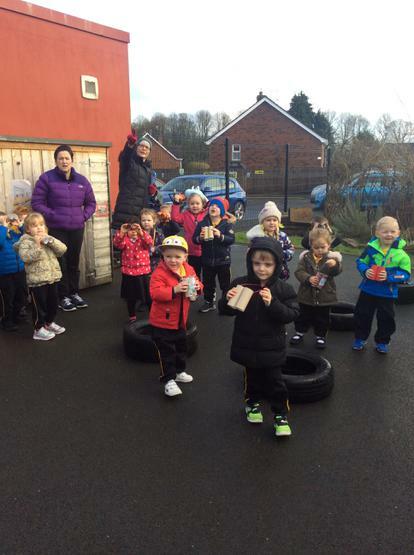 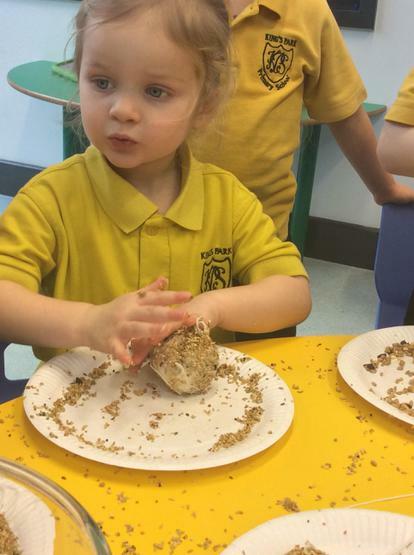 This month in Nursery we will be exploring the very exciting topics of 'Winter' and 'Birds'. 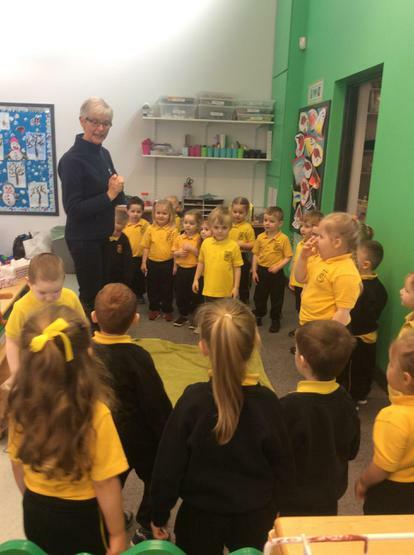 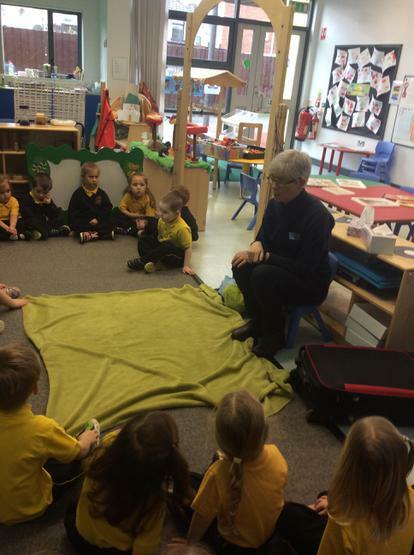 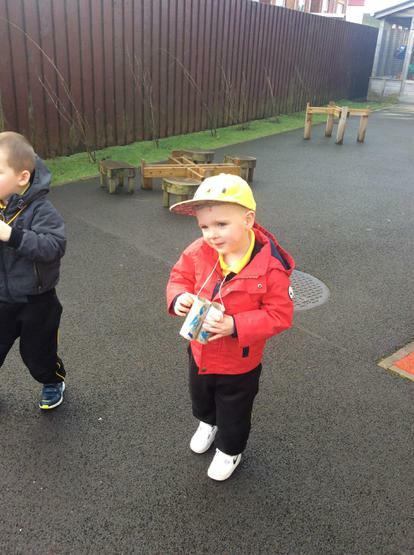 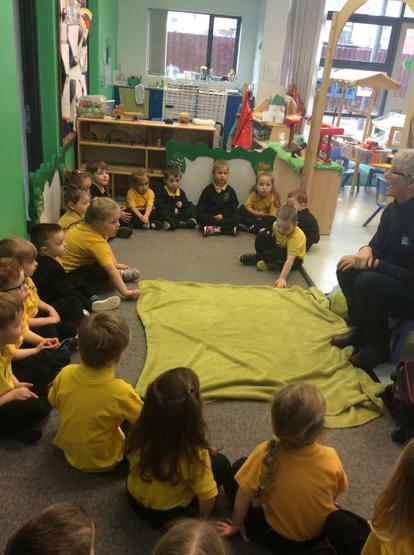 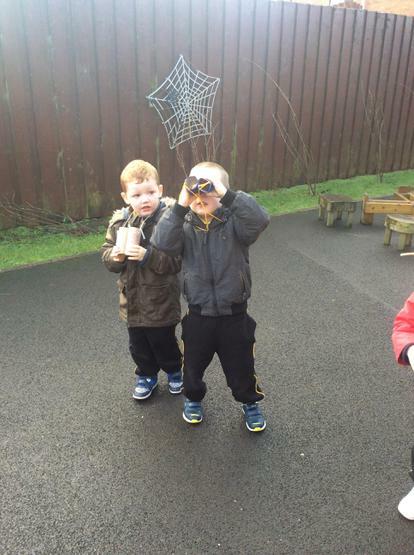 We will learn to identify and name some of the common birds that visit our gardens, talk about their features, diet, habitats, and also learn more about how we can look after birds in our Nursery gardens and at home. 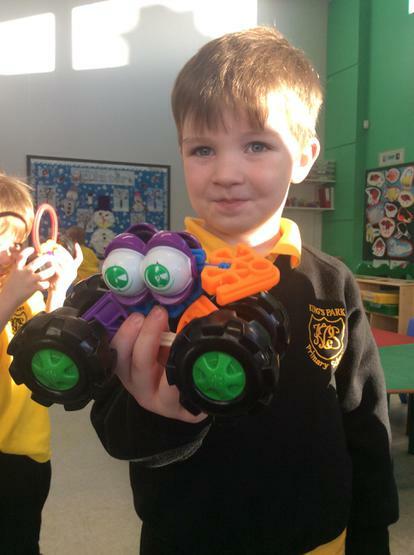 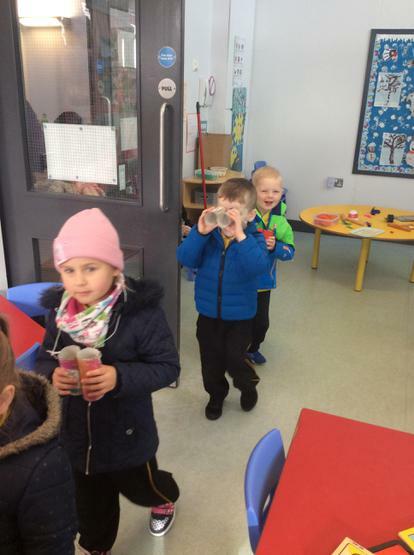 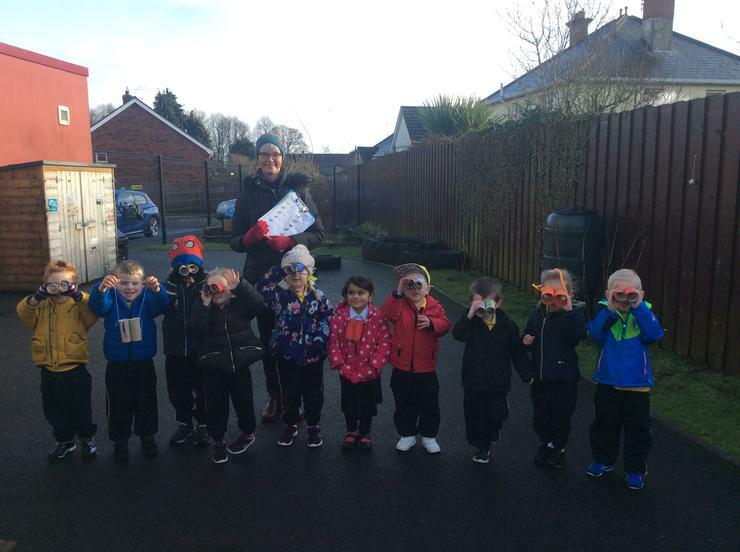 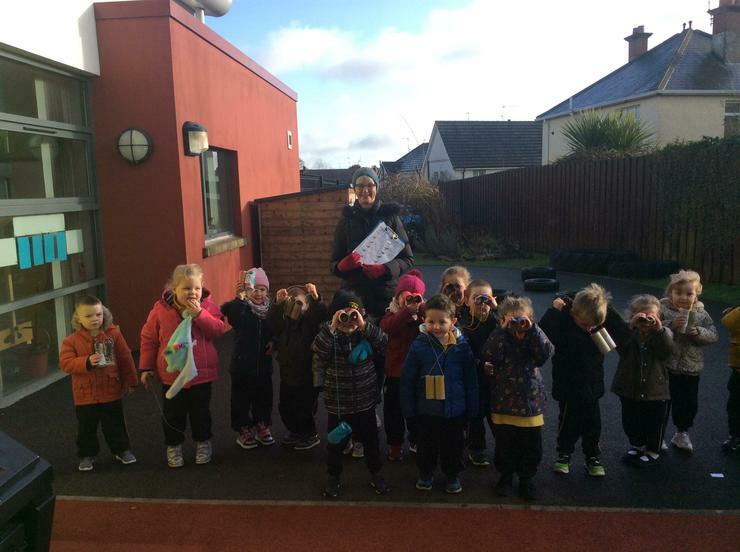 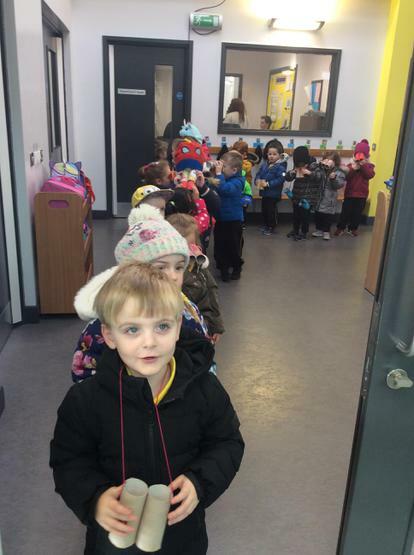 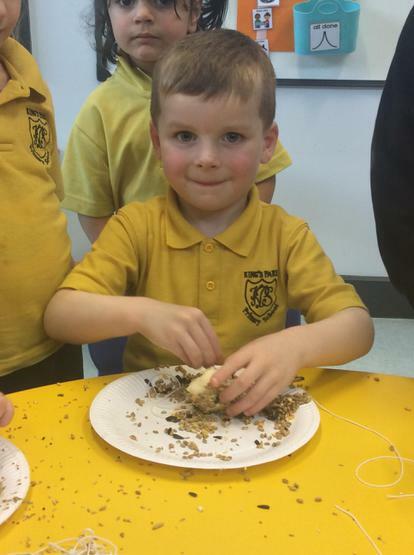 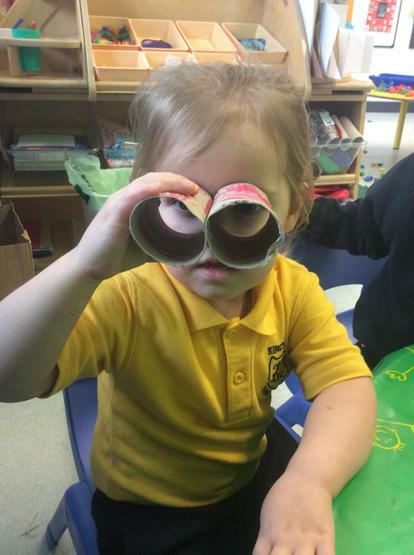 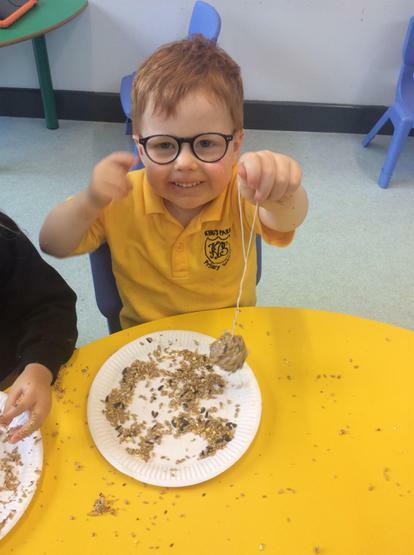 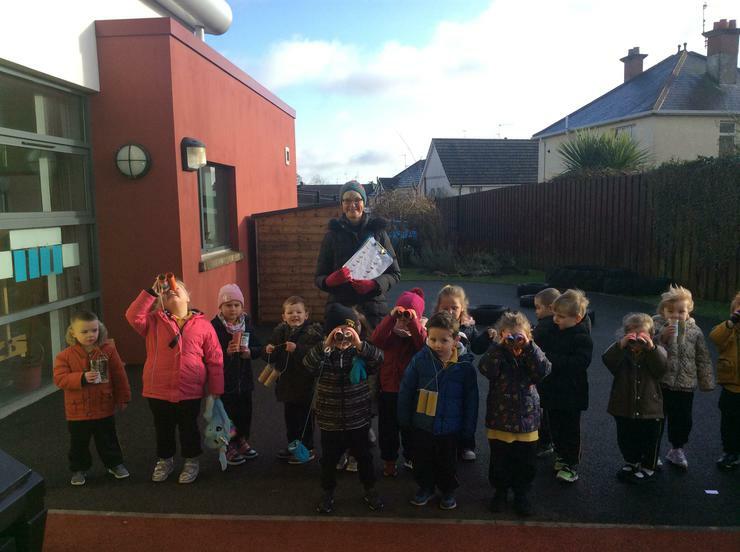 We hope to have a visit from the RSPB who will help us explore this topic further, as well as assist us in our Big Schools Birdwatch using our own handmade binoculars (see photos in Educational visits section of Nursery webpage)! 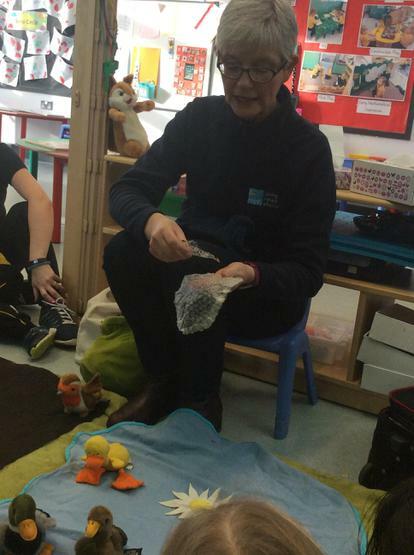 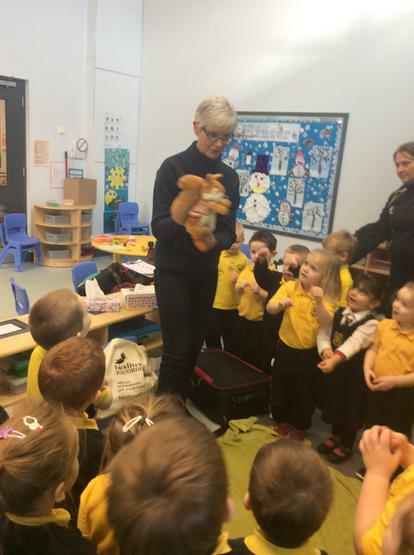 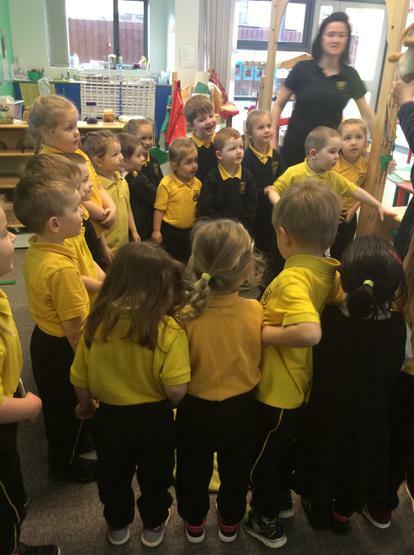 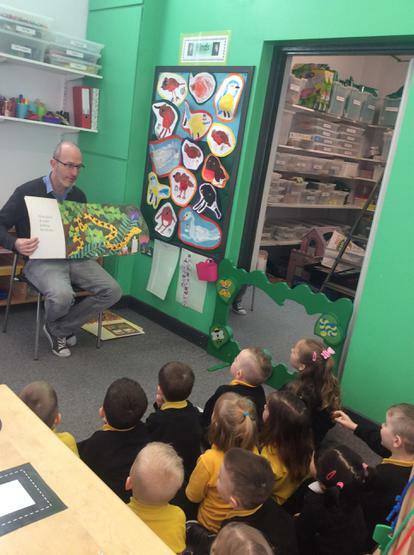 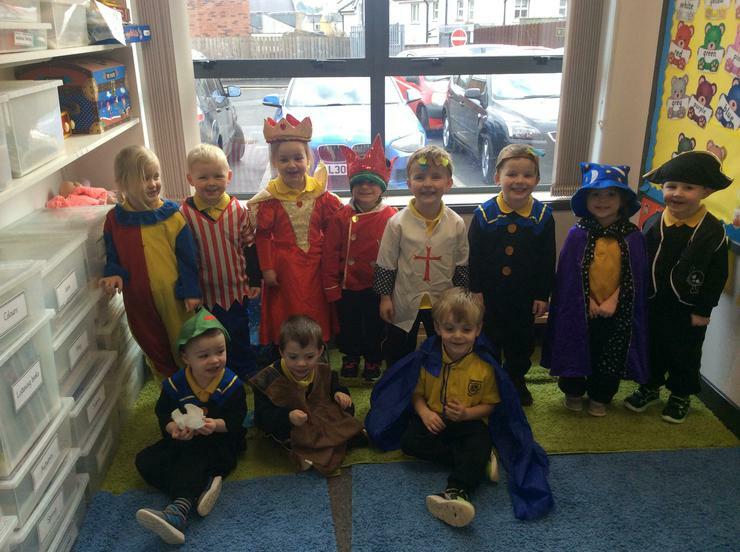 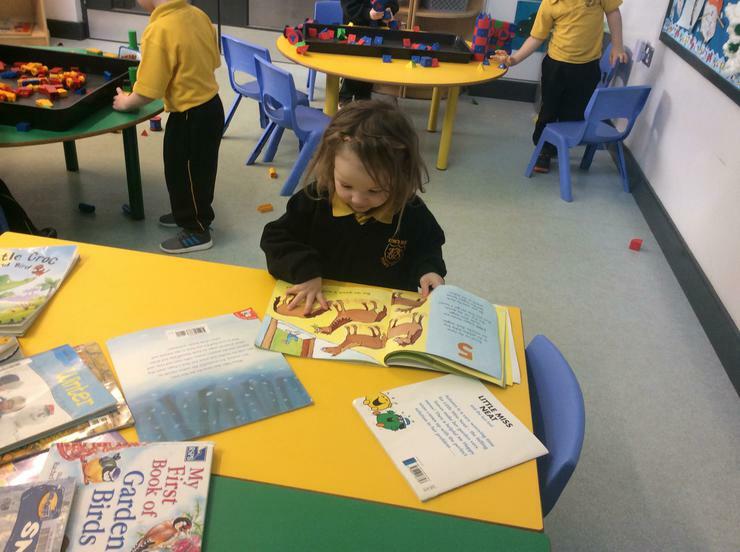 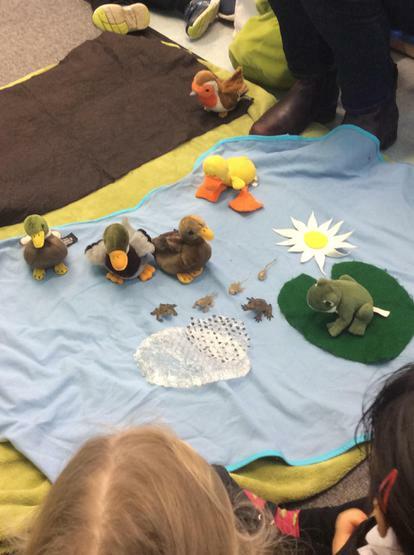 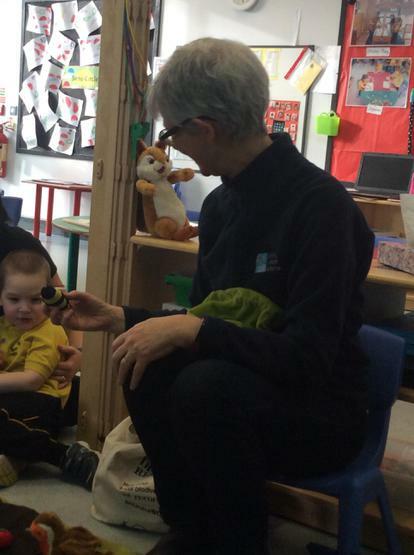 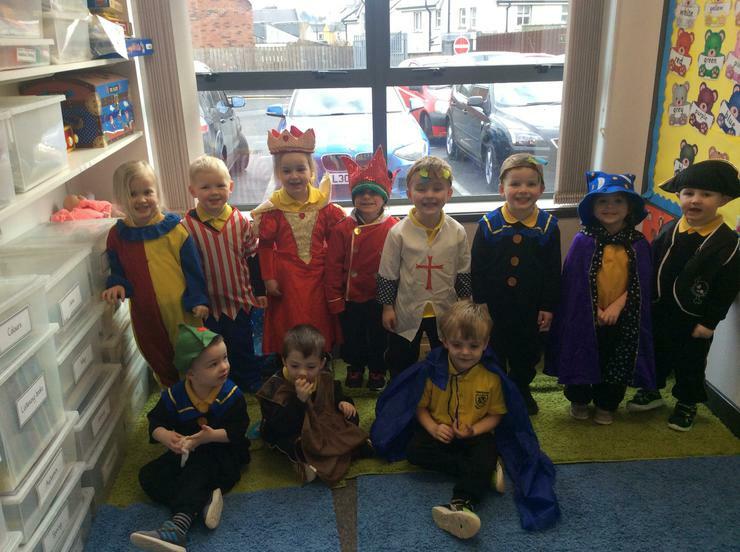 We are also looking forward to having a visit from the Library service and we hope to participate in exciting stories, rhyme and rhythm activities with them. 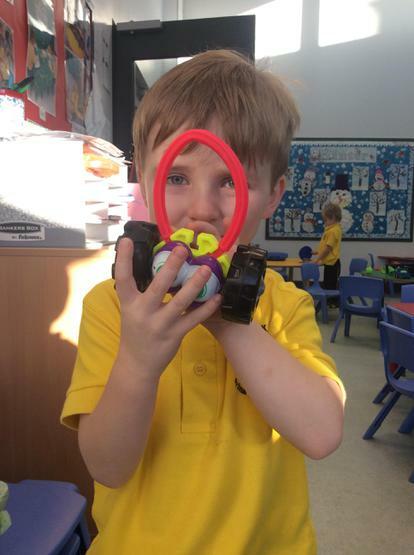 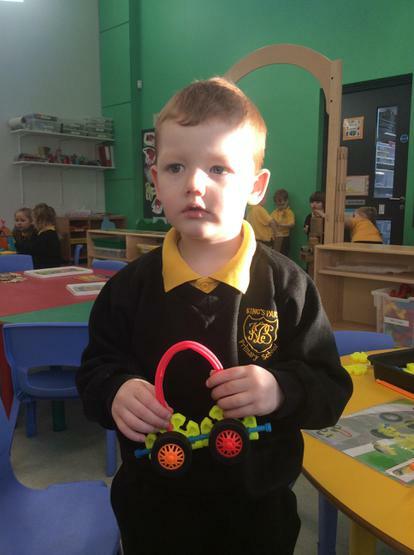 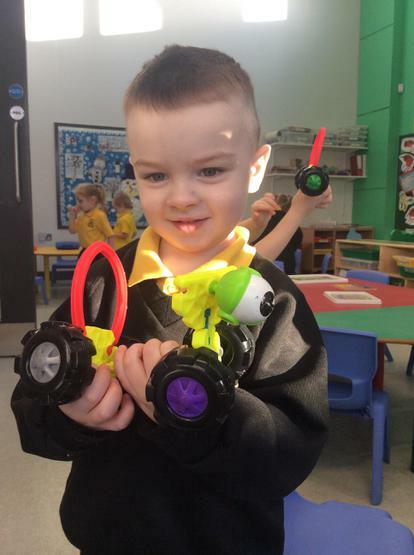 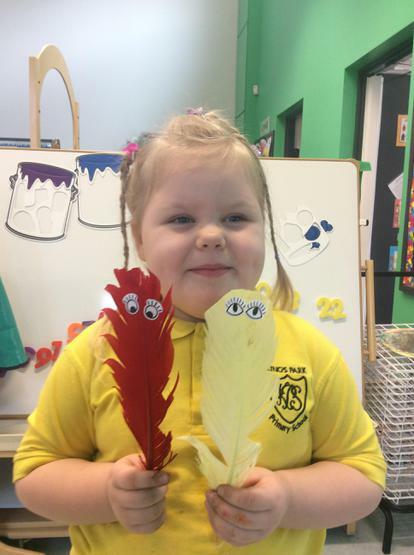 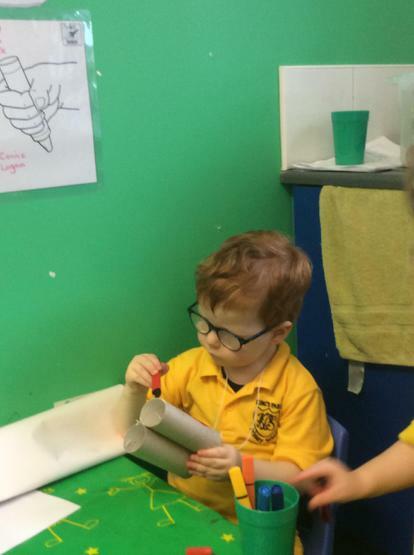 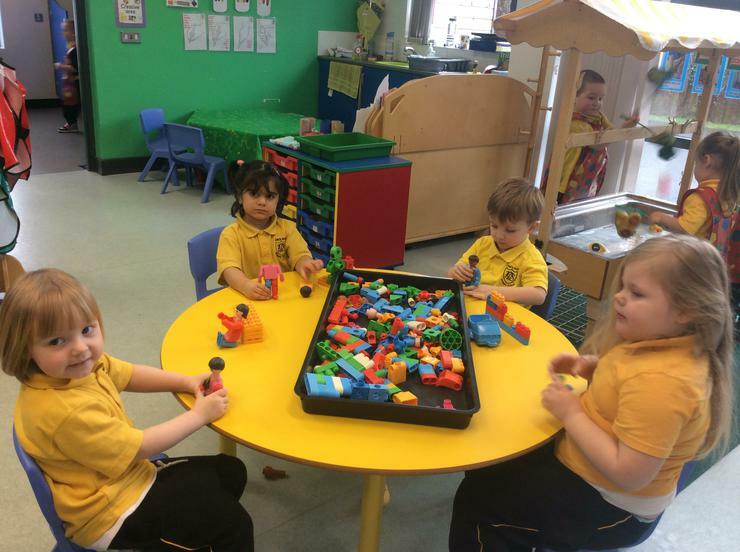 This month we will take part in many fun activities to help us develop our pencil grip and scissor skills, as well as copy and continue a two colour pattern, and sort objects by type and size. 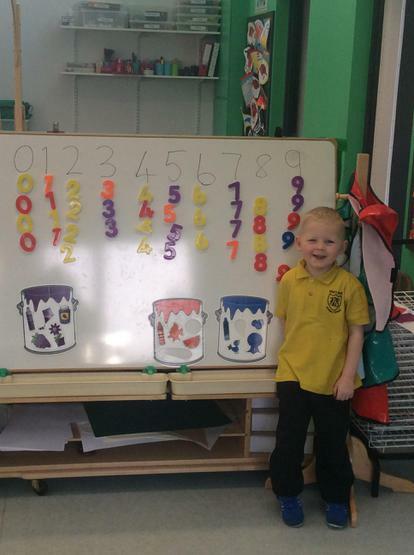 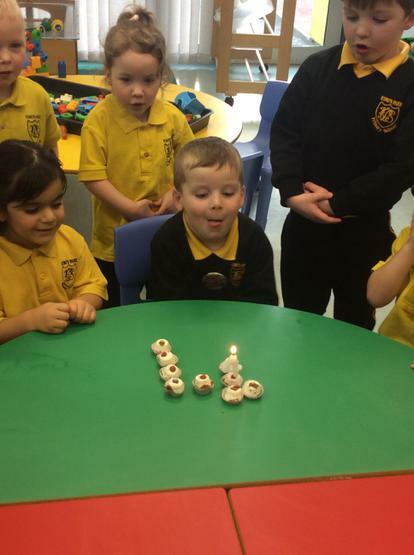 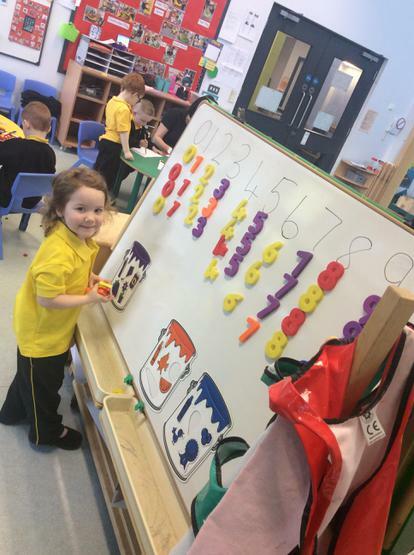 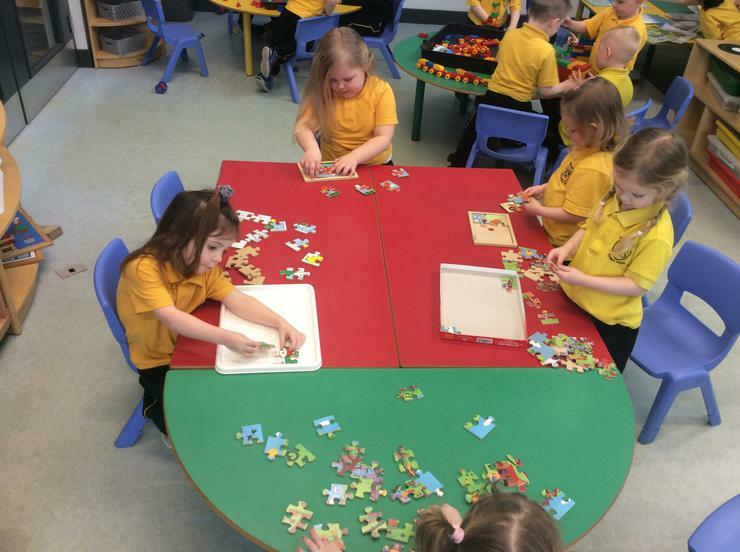 We will also be developing our counting skills. 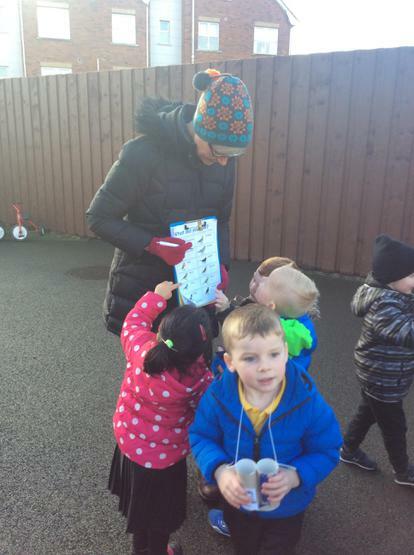 A very busy month indeed!